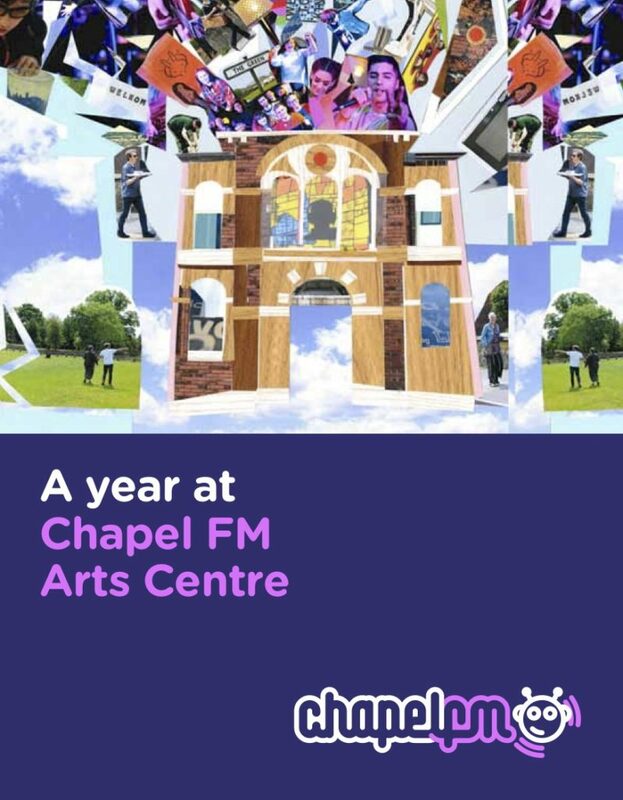 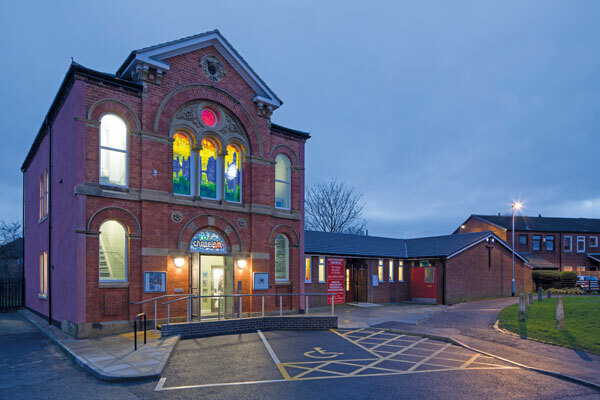 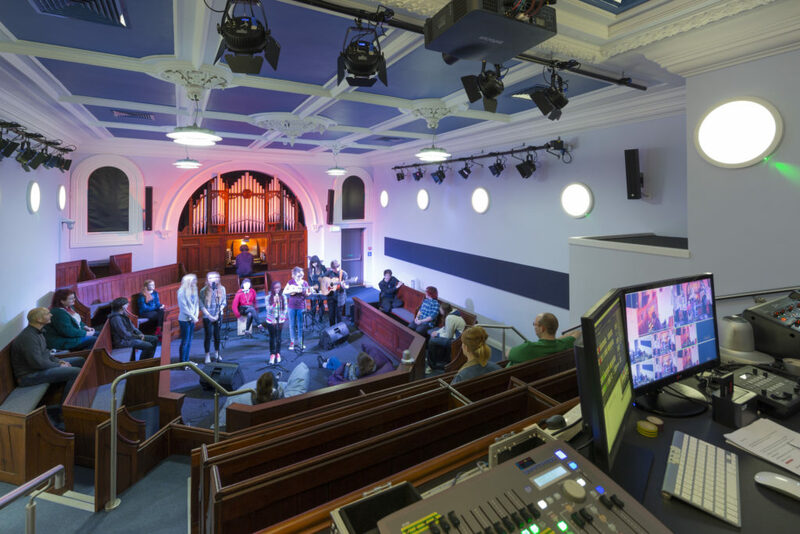 We are looking to appoint a Community Arts Worker to join our team who has a specific role in developing our broadcasting offer at Chapel FM. 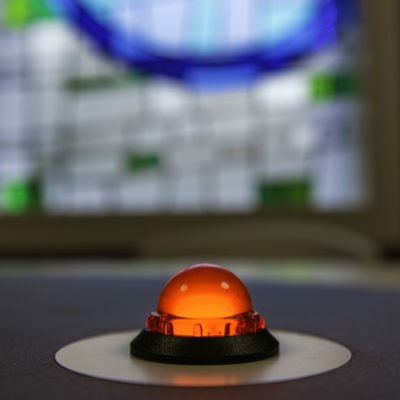 The job is offered on a full-time basis working 5 days per week (35 hours). 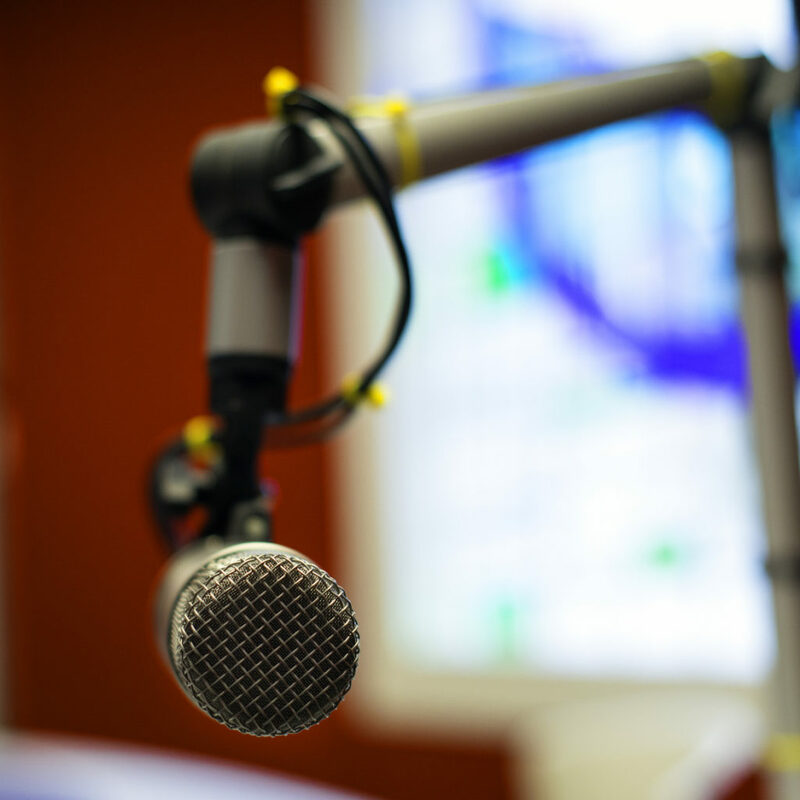 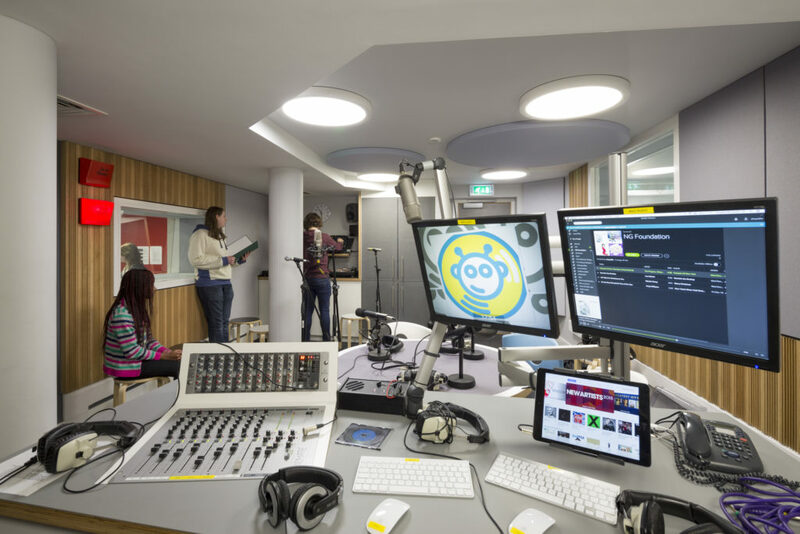 You will have specific responsibility for training and assisting people in all aspects of radio broadcasting. 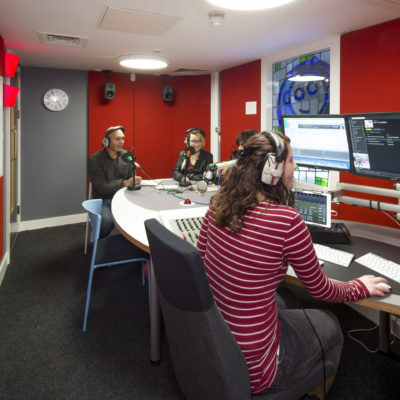 First and foremost you will be joining an established community arts company and you must have a passion for working with people and helping them to create radio broadcasts in formal and informal learning situations. 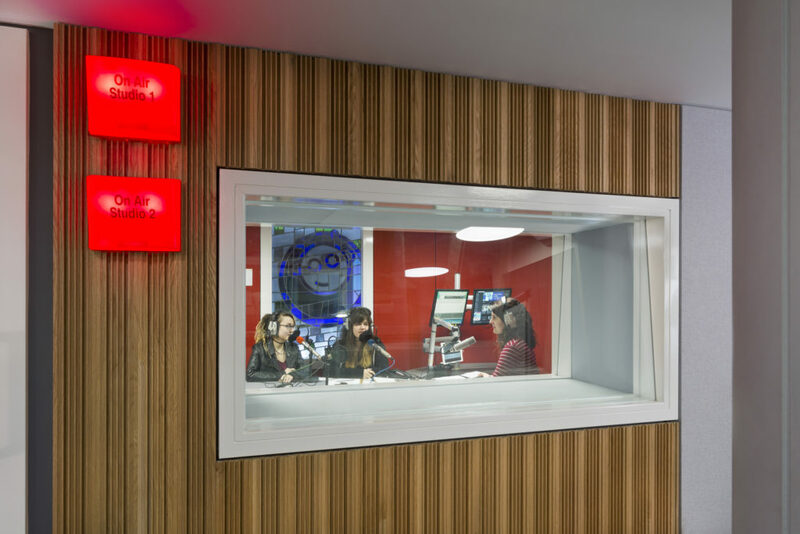 The worker will assist the co-directors and other key staff to develop and implement new radio programmes, support ongoing programs, and manage the potential transition to on-air FM frequency broadcasting. 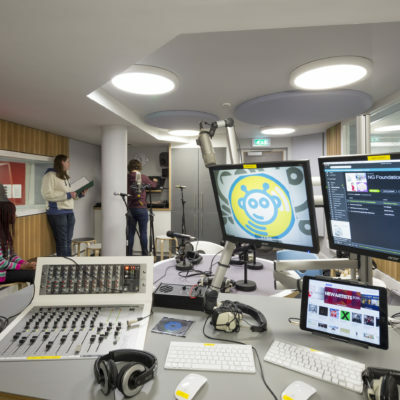 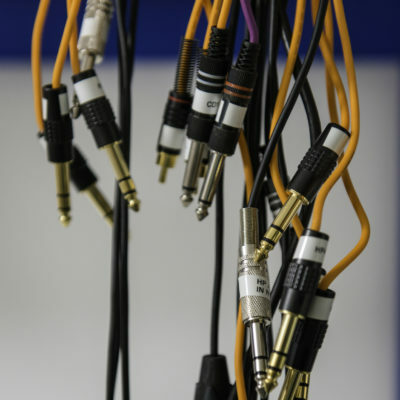 At the same time we are looking for someone who has an understanding of the technical equipment connected with broadcasting and recording, and a willingness to share that understanding with others. 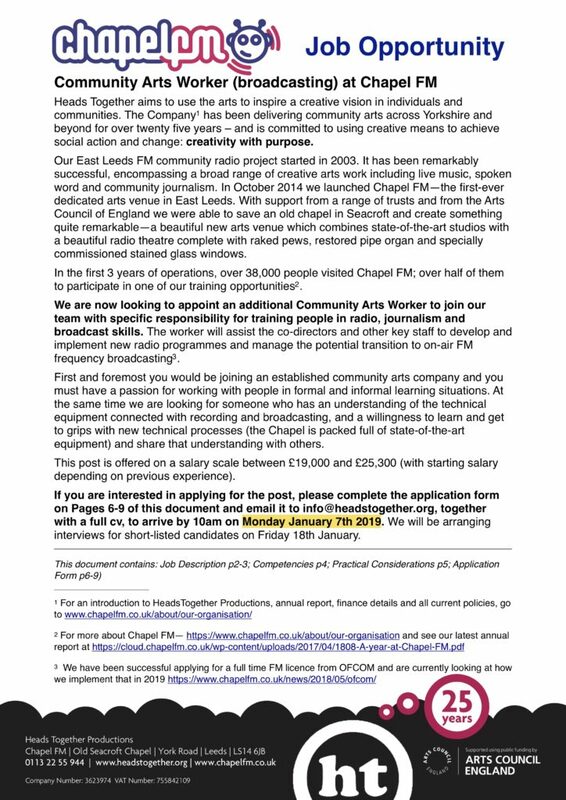 If you are interested in applying for the post, please review all the information in the attached document and complete the application form on Pages 6-9. 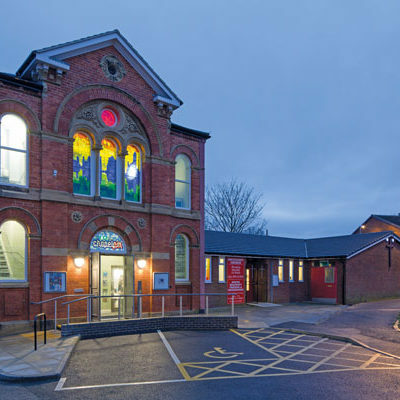 Then email your application, together with a full cv, to arrive by 10am on Monday 7th January 2019. 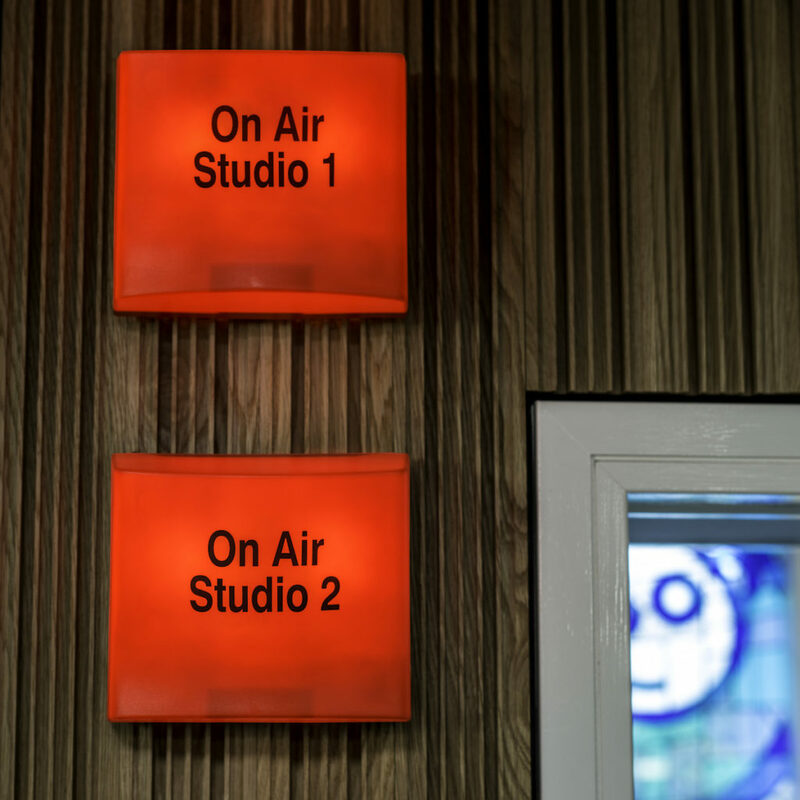 Since ELFM started in 2003 over 12,000 local people have come into one of our broadcast studios…aged between 3 and 87 years old! 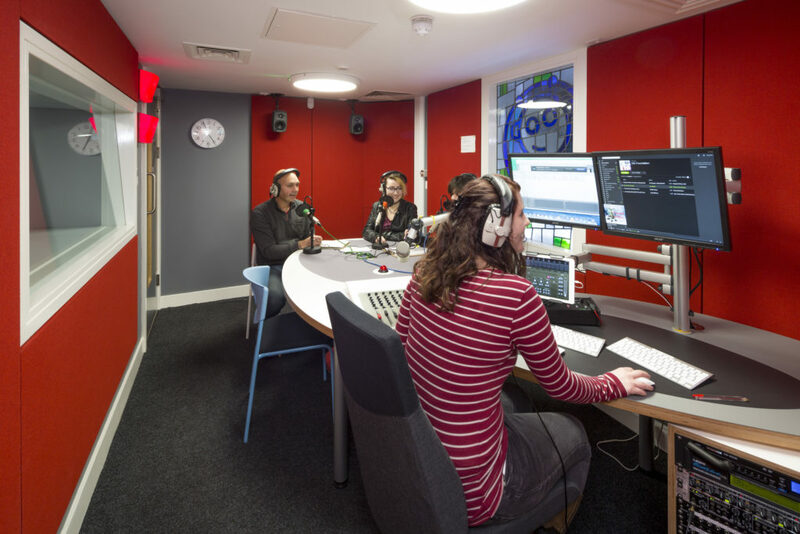 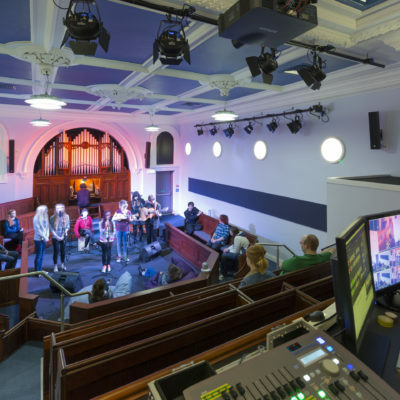 Last year 17,942 visitors came to Chapel FM (a massive 78% increase on the previous year).